Rental agreements are ordinarily detailed and complex. In order to expedite time and ensure a favorable agreement, a way out is by all means necessary. 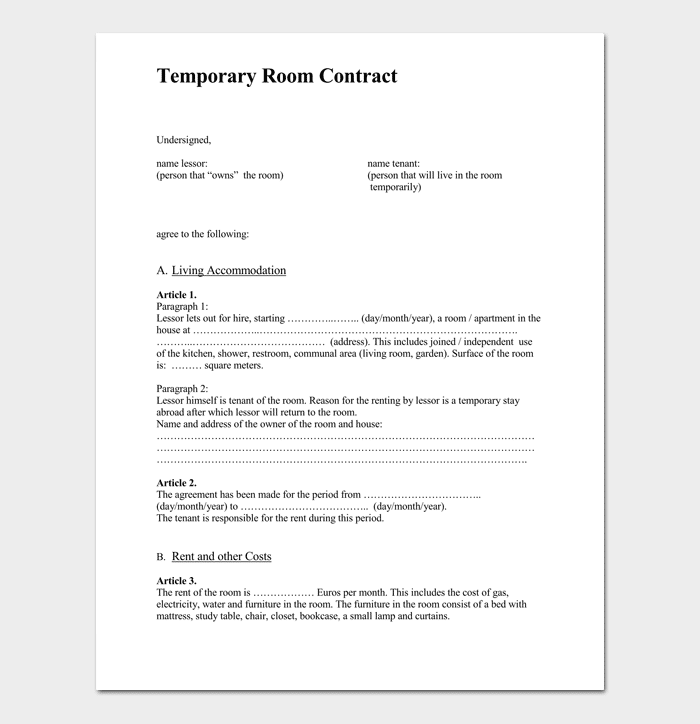 No other approach or intervention mechanism provides this needed leeway than the room rental agreement template. It is basically a pre-formatted pattern against which future and elaborate lease agreements may be fashioned. It greatly expedites time, reduces any possible confusion, and simplifies the whole process of drafting lease agreements, alongside other benefits. 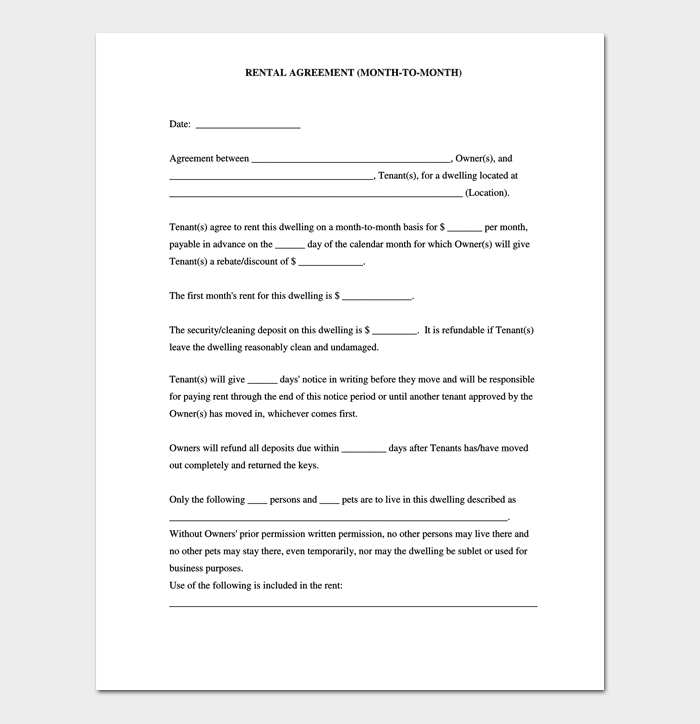 This is a template or form that is designed to aid you in drafting a suitable rental agreement for a single room. Single rooms are simple both in construction and nature, as their name suggests. However, the terms of the lease that govern them may often be complicated especially to one who lacks the required skills. That’s where these forms come in. It is pretty similar to the simple room rental agreement discussed above. However, it applies to residential apartments rather than single rooms. Its role is to aid would-be tenants of larger apartments to sign proper lease agreements. This way, it reduces to an absolute minimum any incidences of errors or confusions. Sharing rooms and other housing facilities is a very complicated undertaking. That’s why utmost care has to be taken to arrive at a reliable deal. 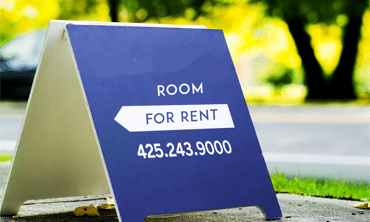 This is the need that a room rental agreement shared housing template aims to fulfill. It provides the guidelines that all the parties ought to adhere to while attempting to reach an amicable agreement. In case you reside in a large house, you may often want to lease out a room to a third party. 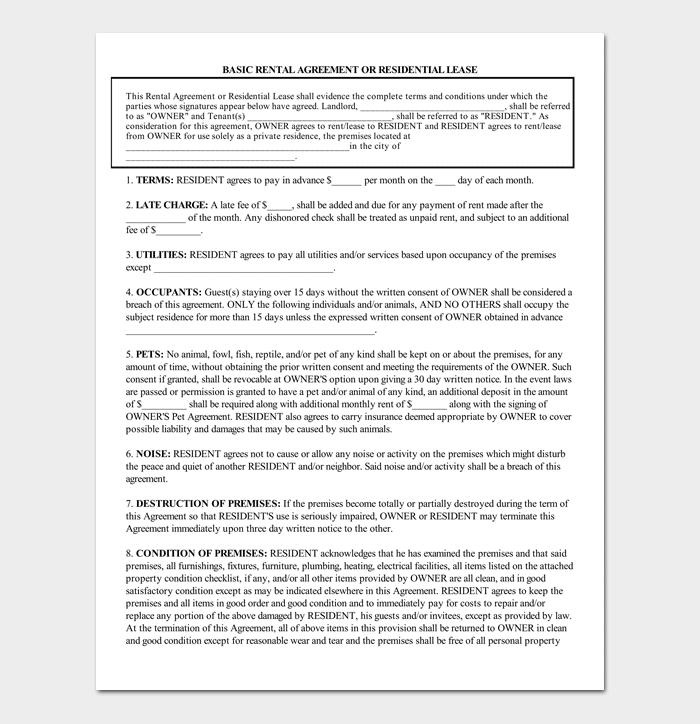 You definitely require a template or form to assist your would-be tenants in signing the lease agreement properly. The typical template comprises the overview of the terms of references though in a compressed form. By adopting this template, any friction, ambiguities, or misunderstandings between your tenants and you will be avoided. Most landlords prefer to collect their rental dues on a monthly basis. This agreement has to be entrenched by way of writing for it to be enforced seamlessly. 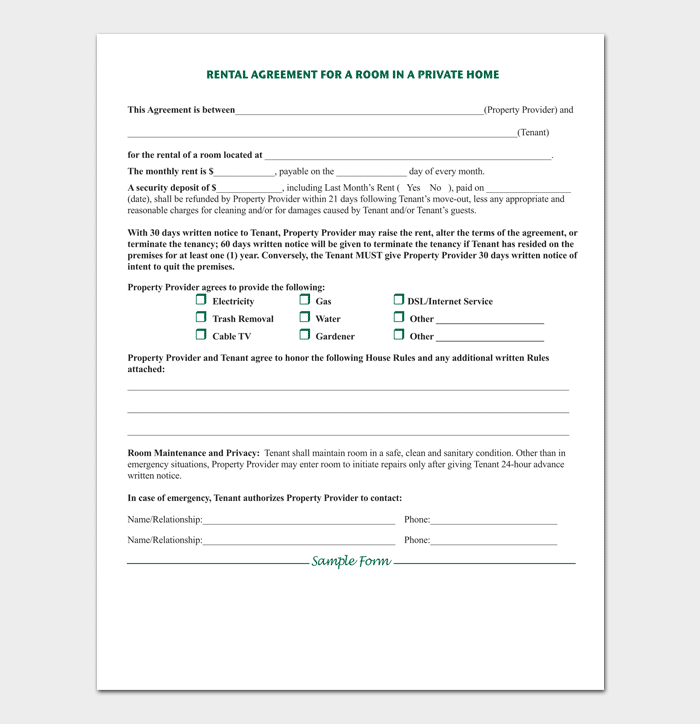 A monthly room rental agreement template is the pattern that governs this kind of arrangement. It stipulates all the terms of reference, duration of the lease agreements, and the punitive measures that may be taken in the event of an infringement of those terms, among others. Hotels provide conference facilities where members of the public may meet to deliberate their issues. 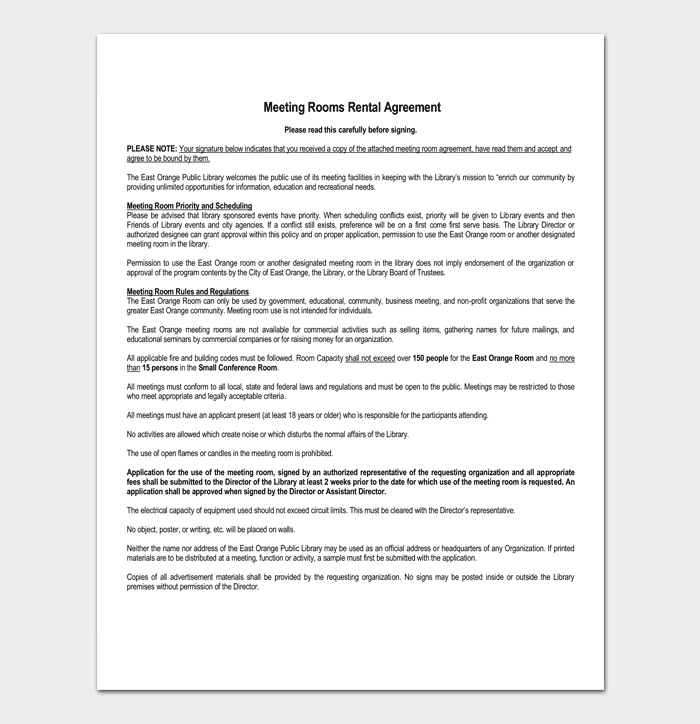 Hotel meeting room rental agreement form is the template that spells out the terms of the use of such facilities. It helps you to avoid some of the mistakes and oversights that you may naturally confront in the course of so doing. It also gives you the rough clue of the various aspects of the agreement and how to fulfill them. In all, room rental agreements are very involving. As such, you have to factor in several issues before signing one. 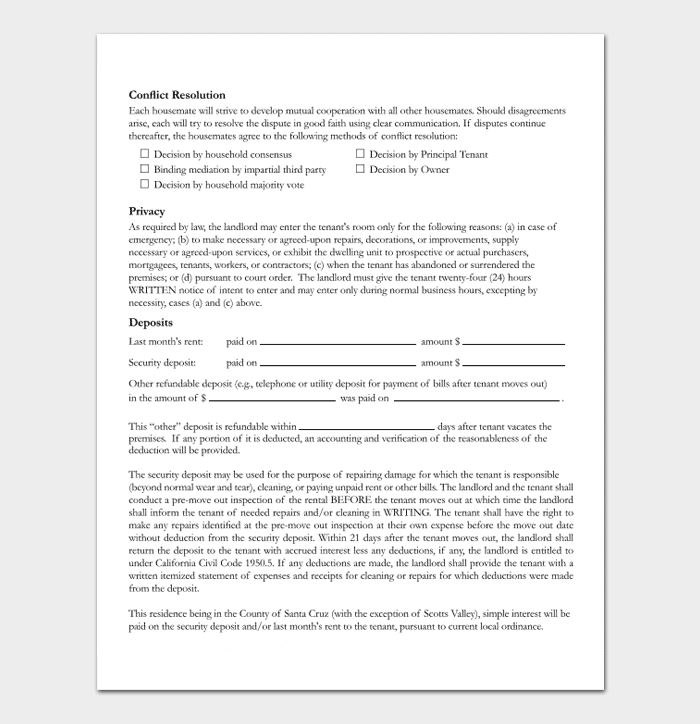 You should desist from rushing into signing the agreement at all costs. Take your time to read the fine print first, before appending your signature. Ensure that you get everything in writing. This is to avoid ambiguities in case a dispute arises in future. And finally, make a point of touring the rental properties during off times to countercheck whether they indeed are in the right conditions. You may also consider enlisting the support of a relevant real estate professional to help you out.